Aviles Street is the oldest platted street in the United States. It has been recorded on maps since the 1570's. 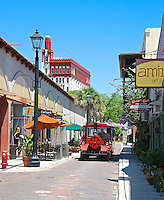 Aviles Street is located in historic downtown St. Augustine, Florida. 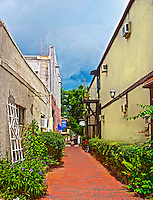 It was renovated in the summer of 2010 and features restaurants with outdoor dining and Art Galleries exhibiting the work of local artist.